Arthur Brouthers makes his Swedish debut at Anohaao Gallery with the solo show Consciousness! Arthur Brouthers' signature acrylic pouring technique has been an influence for many aspiring artists around the world. In recent years he’s been developing his technique further, incorporating portrait photography, and using resin to create multi-layered figurative, yet other-worldly, artworks. Arthur's multidimensional work often speaks of inner worlds, which is reflected in the title of the exhibition; Consciousness. Join us on the 8th of September for an opening in the artist’s presence. There will be two occasions on this day, one between 13-16 (1-4pm), and one between 19-21 (7-9pm). At 19.30 there will be a special music performance by a new group with members from Evil Astronaut and Mind Fox. The project is so new that they haven't even decided on a name yet, but nonetheless it's going to be a magical performance that you don't want to miss! The exhibition runs through October 6th. Arthur Brouthers (USA) ställer för första gången ut i Sverige! Arthur Brouthers karaktäristiska teknik, där han skapar abstrakta målningar genom att hälla akrylfärg på träpaneler (sk acrylic pouring), har varit en förebild och inspirationskälla för mängder av konstnärer världen runt. På senare år har han även börjat utveckla en mer figurativ stil, där han förenar porträttfotografi och måleri med hjälp av flera lager resin, vilket ger mångbottnade, vackra och på samma gång smått besynnerliga konstverk. Arthurs mångdimensionella verk talar ofta om inre världar, vilket även återspeglas i utställningens titel; Consciousness. Utställningen pågår mellan 8 september - 6 oktober. VERNISSAGE LÖRDAG 8 SEPTEMBER KL 13-16 OCH 19-21. Kl 19.30 bjuds på ett speciellt liveframträdande av ett rykande färskt musikprojekt med medlemmar från bl a Evil Astronaut och Mind Fox. Gruppen är så pass ny att den inte ens har något namn än, men oavsett kommer det bli en magisk föreställning som du inte vill missa! 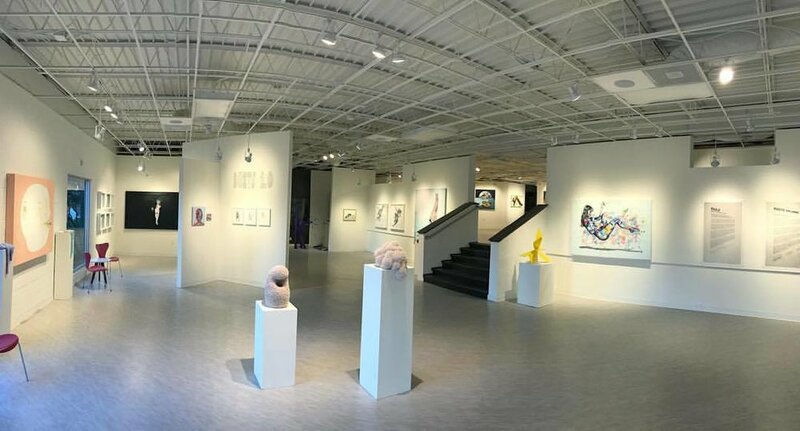 Fort Works Art announces DUETS 2.0 November 1 through December 30, 2017, a reemergence of 2016’s exhibition Duets A Comparison of Realities, showcasing 7 sets of artists working in similar mediums, themes, or styles in an effort to take the audience through an exploration of comparative works. DUETS 2.0 is a mixed-media juxtaposition that highlights artists from all over the country whose work has been featured in Hi Fructose, Juxtapoz, VICE,and more. DUETS 2.0 is paired with highly-acclaimed artistic platform and curatorial team Tax Collection’s exhibition New Pop -- a pop culture-inspired exhibit showcasing visual artists whose work often portrays sociopolitical undertones through mixed mediums, playful techniques, and vibrant colors. DUETS 2.0 features Arthur Brouthers and Ben Willis, Johan Barrios and Jay Wilkinson, Janna Tidwell and Yvonne Domenge, Leah Yerpe and Marshall Harris, Jeremy Joel and Steve Kim, Dan Lam and Andres Anza. This past weekend's journey to Fort Works Art in Texas exceeded my expectations by far. 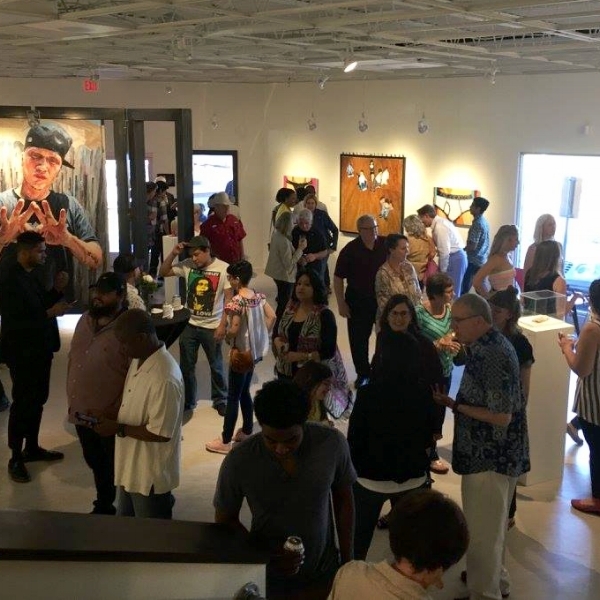 Who would've imagined Fort Worth had such a progressive and bustling art scene? #28GRAMS was an effort to bring a diverse handful of amazing artists together from all over the country. The friends made were worth the trip alone. Needless to say, there wasn't a dull moment from the time I stepped off the plane Friday morning to my departure on Sunday evening. I was truly sad to leave. If I've left anyone out, I apologize. My writing skills tend to struggle beyond an hour. All of the art was top notch and I wish I'd had the chance to connect with some of the others, but surely I'll be back for more tacos. Check out If you're in Miami during Art Basel week, check out the Art Concept Fair downtown. I'll have work on view with several other amazing artists at booth #206. If you're out and about for the Uptown Crawl tonight, I'll have my door open from 7-10pm. Paid parking is right outside ($8:-( otherwise several parking meters and cheaper lots are nearby. Hear us talk about our stories on NPR Monday at 9am!